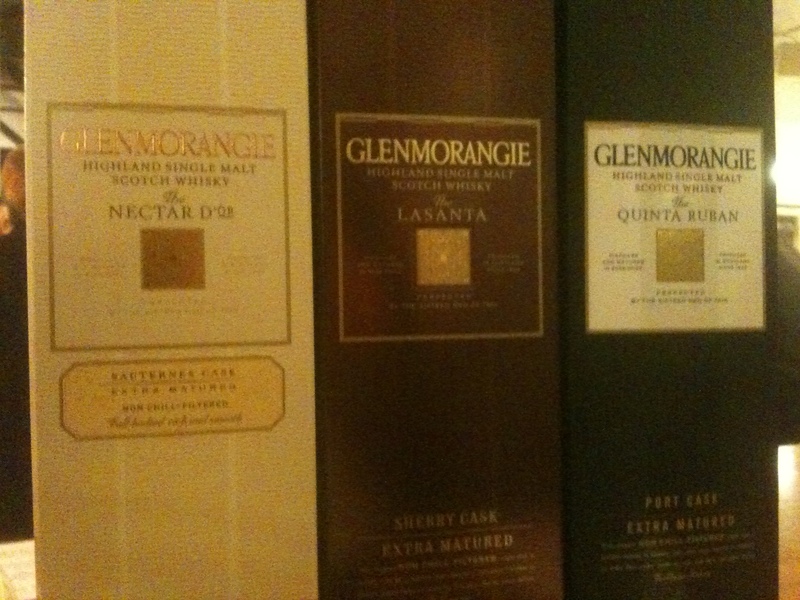 It’s been that time of month again at Kro 2 with their monthly whisky tasting and this time Moet and Hennessy were the guests, bringing with them Glenmorangie and Ardbeg. Again for those of you who don’t know what Kro Bar is, they’re a Danish family business who specialise in Danish food and beer. A popular idea in the Manchester area, they’ve expanded from 1 outlet to 5 in the space of 10 years. Our host for the evening was Alex, and he took us through a thorough history of Moet and Hennessy itself and the whiskies they have under their portfolio. A multi-award winning Single Malt, sweet, rich vanilla notes dominate the nose with slight hints of toffee wandering soon after. The palate enjoys a slow build-up of spice, ginger and red berry that creates a warmth that lingers playfully long after. Another award-winning Single Malt, the Lasanta spends ten years maturing in American white oak ex-bourbon casks before being extra-matured for a further two years in Oloroso Sherry casks from Jerez in Spain. Wild spice with lots of dry oak flavours mix well on the nose, with a smooth yet heavier flavour of sherry and nuts on the palate. Subtle orange hints on the after-taste. Again award-winning, the Quinta Ruban spends 10 years maturing in American white oak casks, before being transferred into specially selected ruby port pipes from the Quintas or wine estates of Portugal. The nose is light with a sharp mint flavour hitting the senses. with a slight spice nearing the end. The palate has a combination of dark chocolate and fresh mint, that mellows out to become a lot smoother after a few sips. Hints of orange are also detected throughout. On the nose, a subtle hint of peat mixes with light hits of smoke. Lemon and limes are also swirling slowly. The palate enjoys light, fresh combinations of cinnamon, lemons and limes with a hint of iodine. It’s not as strong hitting as you may expect. A smooth, mellow hint of peat with honey and sugar mixing well on the nose. However the palate has a sharp peat hit mixing with winter spices that mellows quickly to produce a rather short after-taste. Light, peat iodine notes with lots of herbs and blackcurrant combining well on the nose. A soft blend of cream and spices start well initially, but develops into a rather harsh dance of salt and iodine for a short after-taste. 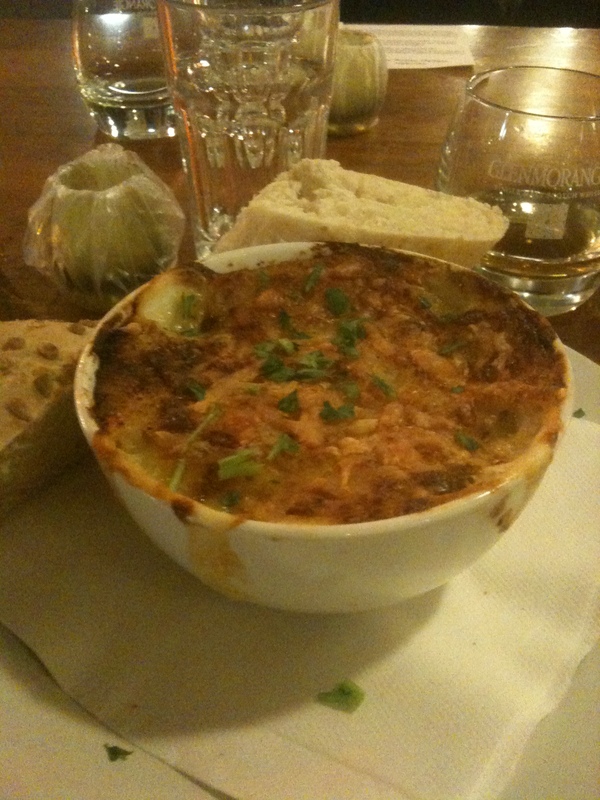 To compliment the whisky selection, the Head Chef at Kro 2 created a traditional Scottish fish pie involving haddock, cod and pollock, mixed with peas in a white wine sauce, topped with cheese and mash potato. Another thoroughly enjoyable event in which we were able to sample a good range of two award-winning whiskies. 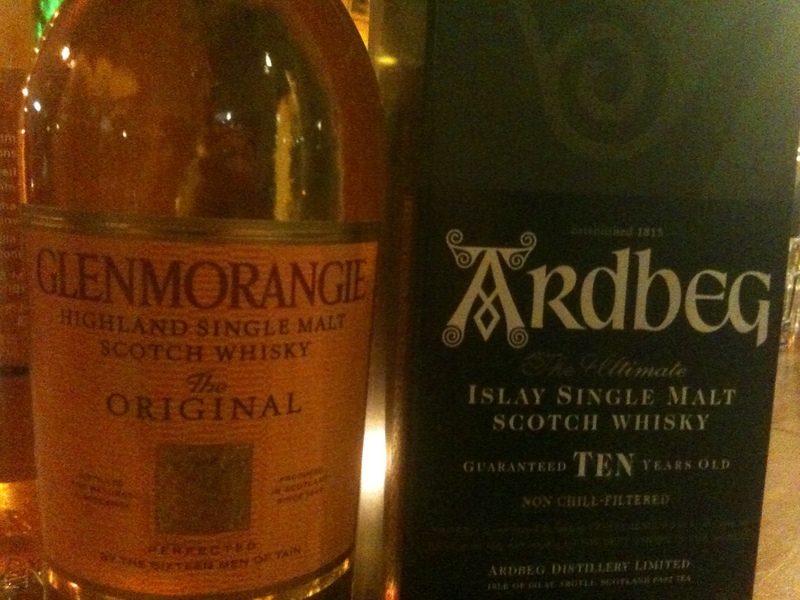 Personal highlights were the Glenmorangie Nectar D’or and the Ardbeg 10yr. Next month’s Kro 2 whisky tasting is yet to be announced, but expect to see advertising for it here as soon as details are released.